Before I talk about today, I have one more story that relates to yesterday…There is a thru hiker named Liz a few hours ahead of me. We have been texting and checking in with each other the last couple of days. Yesterday, I found a PCT bandana on the trail and I knew someone just ahead of me must have dropped it. All the hikers were given a bandana at kickoff I I’d be really bummed if I lost it, so I picked it up excited to be able to do something for someone ahead of me. This morning, I was texting with Liz and asked her if it was hers. She said no and then I thought maybe it’s Meow Meow’s. Liz knows Meow Meow well and broke the news to me that by the description of it, she knew it was Meow Meow’s pee rag! It immediately went in a Ziploc! Of course that’s what I’d pick up! We all know not to pick up bandanas cause they might be pee rags, but that was the PCT bandana and I never imagined someone using it for that. Jeez! Liz found it quite amusing, Meow Meow was happy to have it back when I saw her today, and I thought it was a perfect fit to the kind of day I had yesterday. A real pisser! Sorry, had to go there. Now for today. The hiking took a backseat to celebrating the halfway point in Chester. I want to also point out that this is the halfway point physically, but time wise, it should only be another 60 days or so to finish the trail. The most realistic goal this year is to be done by October 1st, which is a week or two later than most years because of the time consuming snow. I hadn’t planned on stopping in Chester, but I NEEDED a milkshake and some kind of reward to acknowledge this accomplishment. Plus, I had a handful of supplies that I needed. I had a nice 9mi hike downhill to the highway. When I got there, some section hikers had already called the trail angel, Meredith, who gives hikers a ride 8mi into town. 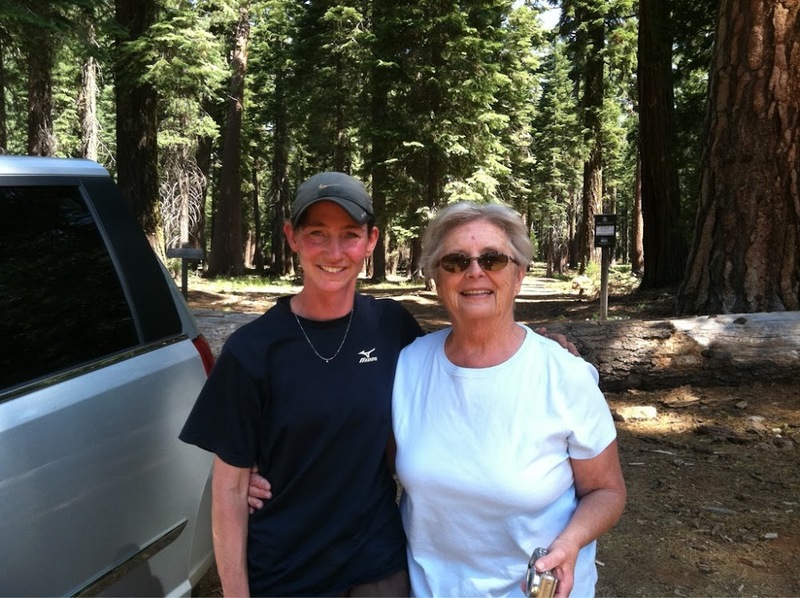 Also, thru hiker Dewey(who I met at Tuolumne) was getting dropped off by his parents and heading on north. Meredith soon arrived and took us into town. She is great! When I introduced myself as Wired, she said, “Yes you are!” I get that response a lot and it’s hilarious that I came out here hoping to tap into my calm, zen side and that wired side just intensified. I guess it’s true that some people are just themselves magnified in the trail. So much for calm and zen! Thanks for the ride Meredith! In town, I was able to get new headphones and sunglasses among other little things. I saw Meow Meow and Funyan in town and we ate together at the ice cream place. It was great and they even had burgers and fries there. The group behind me of Annie, Spock, Twiggy, Spice Rack, and Dutch also came into town. Most of them went to the grocery store to attempt the half gallon ice cream challenge to celebrate. Needless to say, most of them were getting a hotel and staying the night. I stayed a bit after Funyan and Meow Meow left to do emailing, phone calls, and charge my phone. I will see them tomorrow. From Chester, I am only 19mi away from another stop tomorrow. 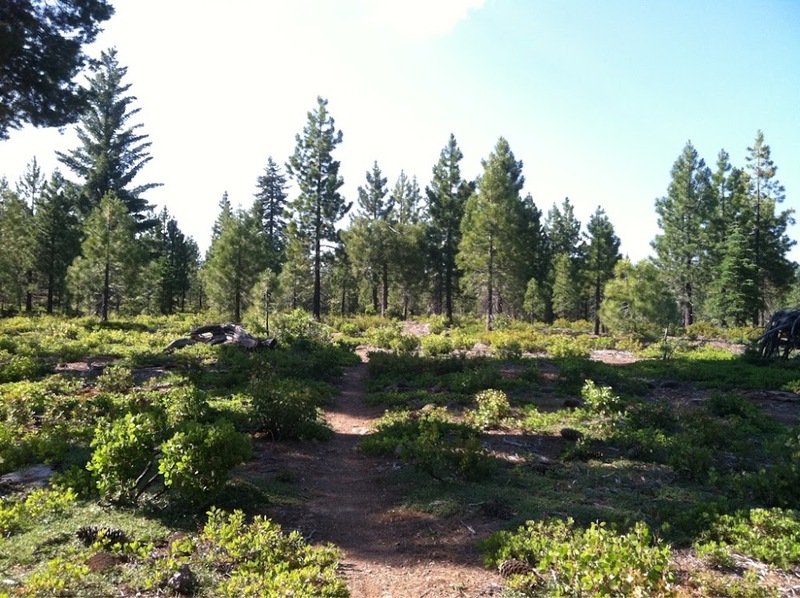 It’s just a ton of trail angels and reasons to stop I this area. 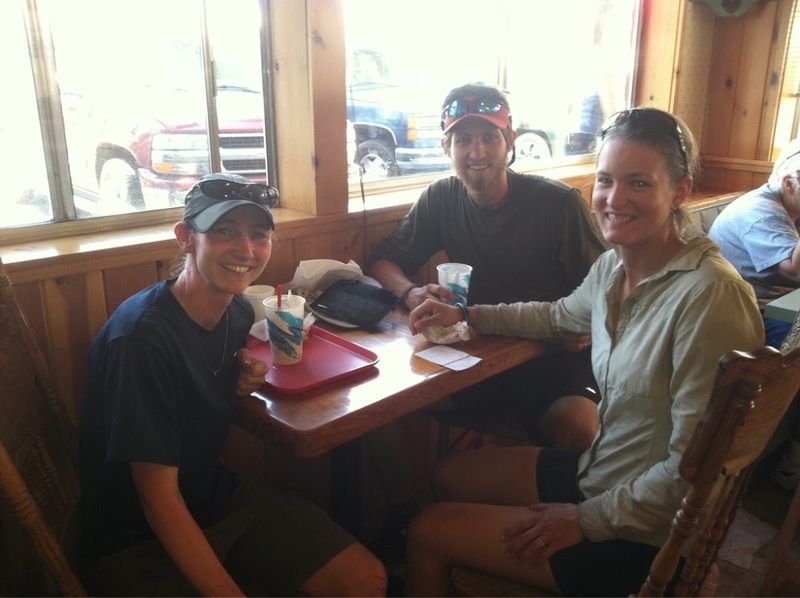 It is the Drakesbad Guest Ranch and is known as possibly the best trail angel stop on the whole trail. These things so close together are really messing up my rhythm and mileage, but I want to go. I am aware that I need to do mileage, but many of the trail towns and stops are just as important as the trail. They are part of the whole experience and seen as an extension of the trail. I can’t pass up what everyone is calling the best stop. I got back to the trail in the afternoon and hiked in another 9mi. Again, the trail was okay. Nothing eventful, and my ankle enjoyed the level gravel terrain. 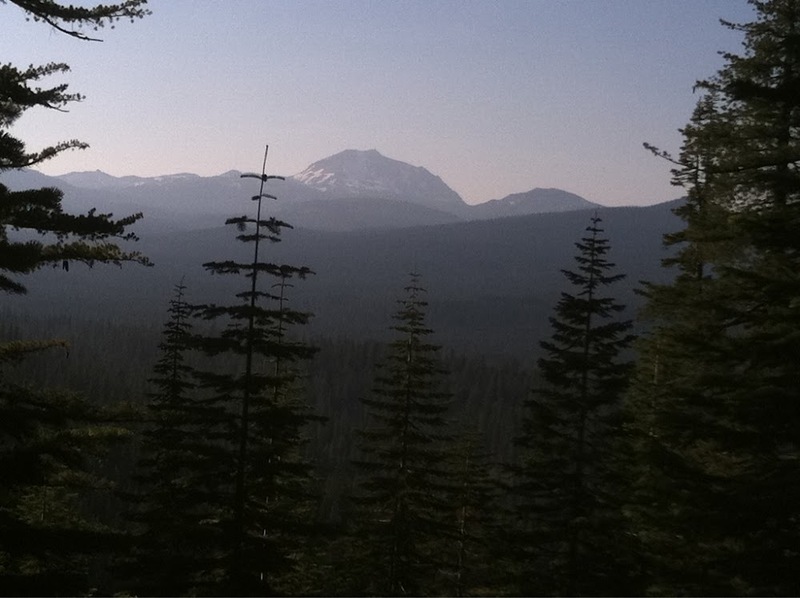 I even got views of Mt Lassen through the hot haze. I took advantage of a fully charged phone and new headphones and I made phone calls almost the whole way. It was great because I haven’t had time or reception to call since entering the Sierras. It was great to check in with friends and family. I felt bad about only doing 18mi today, but I know I shouldn’t. I got a lot taken care of in town and it was a really productive day. I really want to get to Ashland with as few stops as possible and no zeros. I’m trying to find a balance of mileage and town and I’m okay with it cause I don’t want to overdue it and wear myself out in this hot section. Tomorrow, I have about 9mi to Drakesbad and I’m looking forward to it! Laundry a shower are first priority. I’ve never smelled so bad and I haven’t gotten to shower since Sierra City. I keep thinking I’m tan and then I realize it’s just a thick layer of dirt. Yuck!